ROAD TOWN, Tortola, VI – The unfinished work and inaction of the current National Democratic Party (NDP) government, as it relates to the regulations and ancillary legislation required for the proper functioning of the Recovery Development Agency (RDA), will soon force Governor Augustus J.U. Jaspert, to exercise his ‘reserve powers’ and tap into the Virgin Islands’ (VI) Treasury in order to fund the works of the agency. The warning was sounded by radio personality, Honestly Speaking’s Mr Claude O. Skelton-Cline, during his live broadcast on Tuesday, November 20, 2018, when hosted as Guest, eminent Virgin Islander, Mr Elroy Turnbull. Speaking to the confusion, turmoil, power grabbing and poor stewardship which has led to an instability of the Territory—and which currently exists in the NDP—Mr Skelton Cline, posited that this will lead to a further encroachment into the affairs of the VI. Speaking to the political climate that exists within the NDP government, Mr Skelton-Cline suggested that it would be difficult for the Government to pass the required legislation for the effective functioning of the RDA, such as procurement laws. He used the occasion to remind that government will also have to pass a provisional budget for first three months of 2019. This, as a result of the fact General Elections are to be held on or before April, 19, 2019. The radio host said, “I am concerned and you (VI residents) should be concerned too,” and drew reference to what he terms, the recklessness and inaction which currently permeates the sitting government. 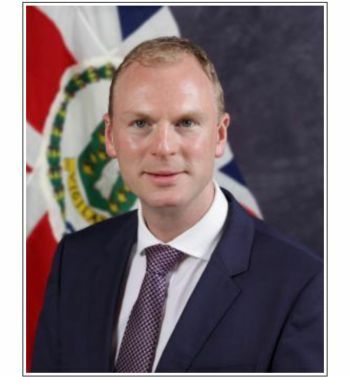 Mr Skelton-Cline reminded that only recently, during a tour of the Territory by newly appointed Director for Overseas Territories in the Foreign and Commonwealth Office, Mr Ben Merrick and Governor Jaspert, the NDP administration was unable to present a recovery plan to the officials—that would also include a source of finances. He was adamant there, is monies available for Governor Jaspert to extract and hand over to the RDA. 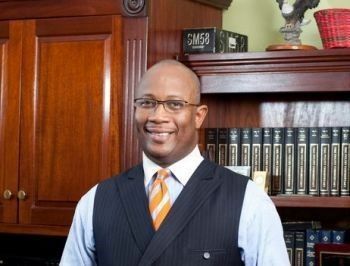 Mr Skelton-Cline reminded listeners that this past year, the Financial Services Industry, did in fact perform better than expected, in terms of revenue had. He drew reference too, to an $11M take by government from an insurance company, in addition to a promised $10M from the UK’s Financial Secretary. Things need to get done If the government is slow marching or standing.at attention . Then the Governor has to get the march going forward ..
Let the Governor do what has to be done because our Government isn't doing a thing! at least it is not you tapping into it. You done get enough. Bad topic for this man. I don’t trust him to ma bone. The man has a right to his opinion. You have a right to yours but don't be judging and blogging malicious statements behind a fake name. If you are so confident about your statement enough to state it, it would be a good thing to prove it. If not stop the slander because thats what it amongst to. Seems like a nerve got touch by Hill. Better him than you or NDP. Why is this man's opinion news when he still hasn't truthfully reported on his involvement in the Port fiasco. Until this man tells the truth, everything his says is false and irrelevant. Don't need fictitious name to say what I have to say or voicertain my considered opinion.